Have you been arrested or detained by the police? Particularly, in cases of illegal detention, you need urgent help. The constitution provides the legal safeguard of ‘writs’ to protect your fundamental rights as per article 32 of the constitution. It comes to your aid if you have been detained illegally. 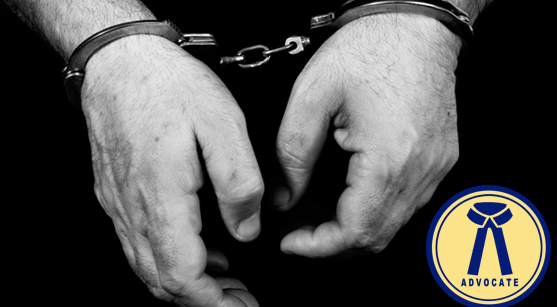 Habeas Corpus is a writ issued by a higher court to bring before the court a person who has been detained and is in custody. The court will go through the legality of detention. The person will be released if the detention is found to be illegal. The term “Habeas Corpus” itself means ‘produce the body.’ The writ is sought by a person who has been detained illegally for 24 hours without bringing him before the concerned magistrate. A petition of Habeas Corpus is filed in a court to object against the detention of self or any other person. The petition must show that the legal enforcement agency ordering detention made a factual or legal error. But the issuing of Habeas Corpus does not clear charges leveled against the appellant. It merely ensures his release from prison. You need to consult an expert and experienced advocate in a case involving Habeas Corpus. A request for Habeas Corpus can be filed by any person on behalf of the prisoner or the prisoner himself. The writ is an efficient means of immediate release when there has been illegal detention be it in private custody or prison. It is subject to the rules of the various state high courts. Physical confinement is not vital for consisting detention. Custody and control will suffice. If basic facts have been collected, legal technicalities and necessities are no hindrances for the court in which the Habeas corpus has been filed. The writ not only prevents illegal detention, it will also ensure that a prisoner in custody does not receive inhuman treatment. If you have been detained by the police, you can use an advocate to ensure you receive humane treatment. The scope of the writ has been widened considerably because of a decision of the Supreme Court in “Maneka Gandhi versus Union of India” as well as 44th amendment of the constitution. The concept of personal liberty will be ensured by this writ. Only advocates with experience know about the nuances and details of writs and how to handle things so that you don’t suffer illegal custody or detention. You will be depressed by the legal complications you have to suffer. But with qualified panel of advocates, any legal issue can be sorted out well. Different writs may turn out tricky when the judge takes time to examine the right legal procedure and publicize it with the constitution. When you are hiring an advocate, you must look for expertise as well as previous case history. This reveals the capability of the advocate to handle your case properly.